Master DV Sportster System – FlowPod, Low Flow, Case, DV Sportster, Extra weights. 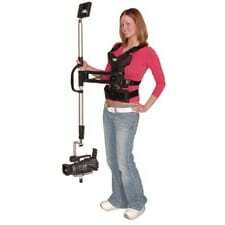 For years now, users of handheld stabilizers have complained of arm and wrist fatigue when operating their handheld for extended periods of time. The DV Sportster eliminates the stress and lets you concentrate on your shot instead of your discomfort. 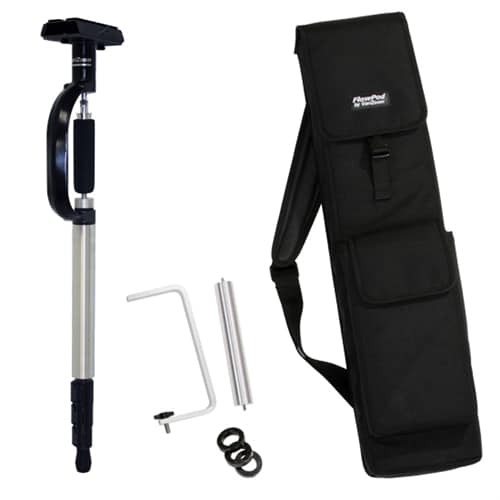 Whether you have an old or new handheld stabilizer, you can safely buy the DV Sportster knowing it will provide both comfort and improved performance. Arm – The DV Sportster Arm emerged from years of experience in manufacturing fully-supported professional stabilizers. Because the Sportster doesn’t have to carry heavy loads, we’re able to not only make it less expensive, but also smaller, lighter, and easier to use. Of course, lower cost doesn’t have to mean lower quality, as the same material and design principles of our professional systems are employed in building this perennial bestseller. In fact, the same manufacturing team that produces our $7000 systems makes the DV Sportster, right here in the USA. Vest – The DV Sportster Vest also owes much of its manufacturing heritage to our high-end line. In fact, the Sportster uses the same breastplate assembly found in our top-of-the-line BlackHawk. However, the lower weight capacity means it can utilize lighter-duty bracing and padding, so as it becomes less costly to build it also grows lighter and more breathable, resulting in a very comfortable and portable vest system that is cool to wear and easy to adjust. 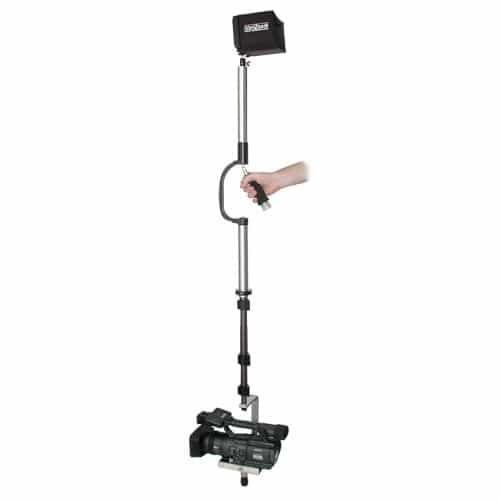 Versatility and Convenience – Compatible with the vast majority of handheld stabilizers on the market, the DV Sportster isn’t limited to use with VariZoom products, and if you haven’t used your handheld in awhile, you need to try it with the Sportster. 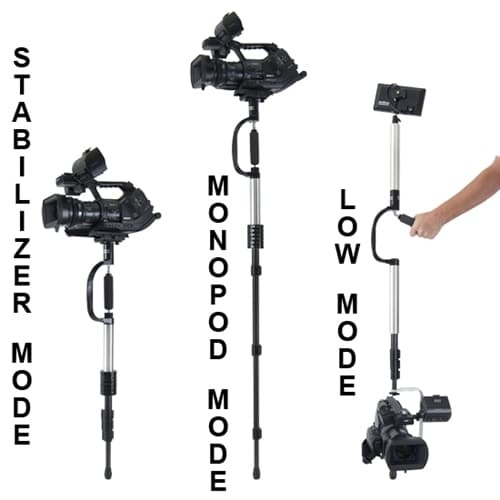 Alternatively, if you’re just starting out with stabilizers, we have several kits pairing the DV Sportster w/ handhelds for turnkey systems at a fraction of the cost of typical pro systems – and you’ll still have the freedom to use the handheld independently – something you can’t do with a pro system. Add to all this the fact that the DV Sportster comes with a compact shoulder bag weighing less than 9lbs when packed, and you have the best value on the market. 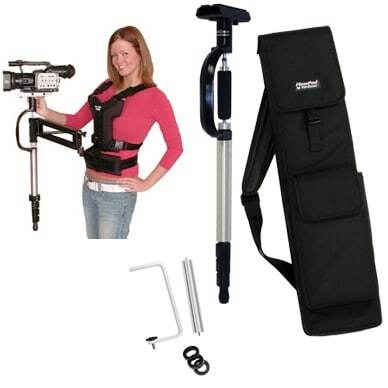 The DV Sportster is the most versatile, affordable arm/vest stabilizer system on the market. 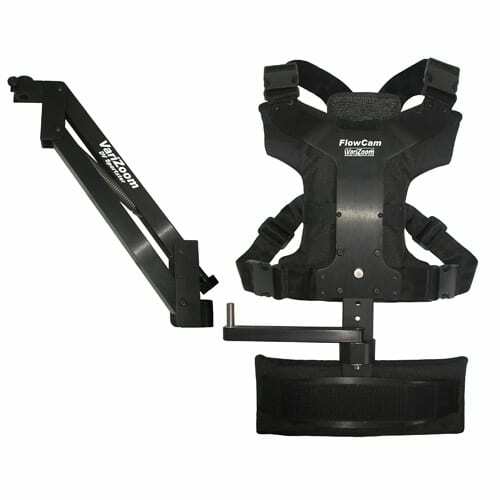 It will support the FlowPod, UltraLite, Glidecam, and Merlin handheld stabilizers.